A substantial and beautifully presented four bedroom mainly Victorian and part timber framed town house offering spacious and well appointed living accommodation including three reception rooms; two with open fireplaces, kitchen/breakfast room complete with quality cabinetry, utility room, ground floor cloaks/shower room, en suite facilities to the master bedroom and an additional bathroom with free standing claw foot bath, together with an integral garage and well maintained private rear gardens all situated on this popular street a short distance from St Mary's primary school, a sports centre and the town centre. Hadleigh can be found on the Essex/Suffolk border just ten miles from Ipswich, fifteen miles from Colchester and approximately seventy miles from London. 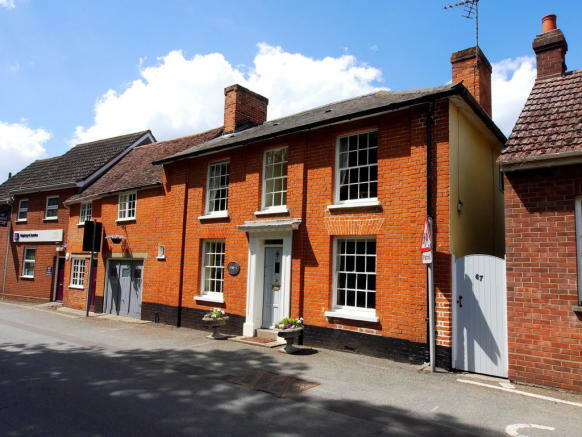 The centre of the district is characterised by rural villages and historic market towns, such as Lavenham, Stoke By Nayland and Kersey, Hadleigh is maybe one of East Anglia's best kept secrets. With its excellent nearby transport links to the A12 and A14, together with access to main line rail stations in Ipswich, Manningtree and Colchester. Hadleigh has become a desirable residential location for both local families and London commuters. Hadleigh proudly boasts over two hundred and fifty listed buildings. The character of the town is maintained by a wealth of independent shops lining the main High Street along with a large sized supermarket offering one-stop-shop convenience. Most villages in this area are fortunate to have junior schools which are very highly regarded. The senior school of Hadleigh offers places to seven hundred and fifty pupils aged eleven to sixteen and is specialist science school with a strong presence in the Suffolk school league tables. Of mainly Victorian and part period origin '67 George Street' is of part timber framed construction and part solid wall construction under pitched roofs clad with a mixture of slate and tile with a single storey additional to the rear again under a tiled roof. The property benefits from a wealth of original features and has during the course of the last few years under gone an extensive programme of refurbishment and improvement and is offered in lovely condition throughout and offers gas fired radiator heating. Entrance Hallway With doors to the drawing room and dining room, staircase rising to the first floor and spotlighting. 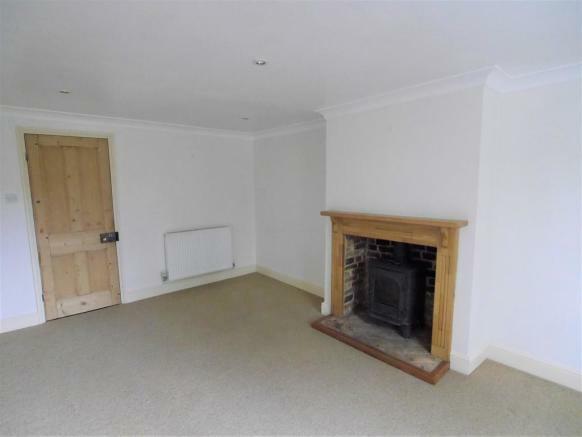 Drawing Room 16ft 3ins x 10ft 9ins narrowing slightly at the chimney breast, with sliding sash window to front, fireplace with brick hearth and timber surround housing a multi fuel burning stove, door to sitting room/study, radiator and spotlighting. 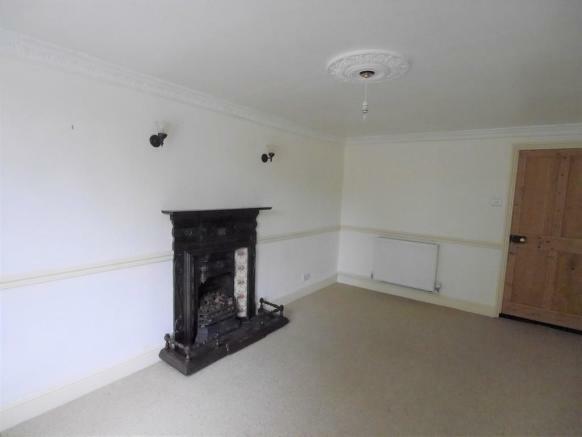 Dining Room 16ft 1in x 10ft 2ins with cast iron Victorian open hearth fireplace with tiled hearth and tiled surround, sliding sash window to front, door to sitting room/study, radiator, ceiling light point and two wall light points. Sitting Room/Study 21ft 5ins x 6ft 9ins with windows overlooking the gardens, doors to the kitchen/breakfast room, utility room and the rear hallway, deep under-stairs storage cupboard with light and power point and an additional deep shelved linen cupboard with light and radiator, radiator and spotlighting. 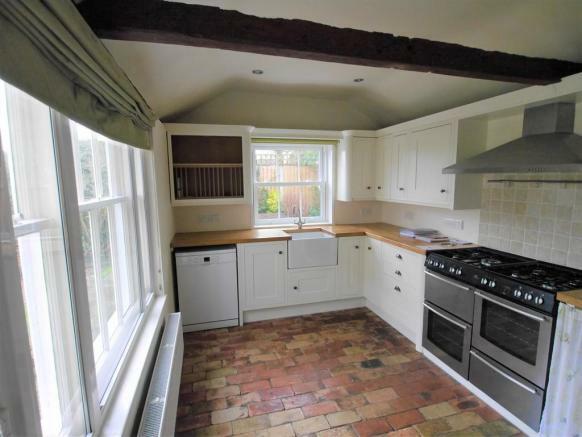 Kitchen 14ft 3ins x 8ft 11ins with partially vaulted ceiling and some exposed timbers, dual aspect windows and part glazed door overlooking and leading to the rear gardens. The kitchen comprises a range of quality cabinetry including an inset butler sink with triple flow mixer incorporating drinking water tap and cupboard beneath, range of oak worktops; most with cupboards and drawers under, "Newworld" Dual fuel Range cooker with extractor over, "Bosch Excel" dishwasher, space for an upright fridge/freezer, range of wall mounted storage cupboards; including an integrated plate rack, one full height shallow storage cupboard, brick floor, radiator and spotlighting. Cloaks/Shower Room With window to rear and white suite comprising low level wc, corner mounted washbasin with tiled splash back and tiled shower enclosure with chrome fittings and glazed door," Monarch" water softener, cupboard housing "Baxi" gas fire boiler serving domestic hot water and central heating, tiled floor, radiator and spotlighting. ON THE FIRST FLOOR Principal Landing With doors to principal Bedroom, Bedroom 3 and Bathroom. En Suite Bathroom 10ft 10ins x 6ft 12ins with dual aspect windows and white suite comprising low level wc, pedestal washbasin, tongue and groove panelled bath with chrome fittings incorporating a hand held shower and separate tiled shower enclosure with chrome fittings and bi-folding glazed door, deep shelved linen cupboard, radiator and spotlighting. Secondary Landing With doors to bedroom 2 & 4 and the bathroom, spotlighting. Bedroom 3 16ft x 10ft 1in with sliding sash windows to front, cast iron Victorian feature fireplace, deep shelved storage cupboard, radiator, spotlighting and additional door to a small inner landing with shelved storage cupboard and access to bedroom 2. Bedroom 4 10ft 6ins x 9ft 3ins with vaulted ceiling with numerous exposed timbers, dual aspect windows overlooking the gardens, radiator and ceiling light point. Principal Bathroom 12ft x 6ft 8ins with window to rear, door to principal landing and white suite comprising low level wc, pedestal washbasin, free standing roll top claw foot bath with centrally mounted chrome fittings incorporating a hand held shower and separate tiled shower enclosure with chrome fittings and sliding glazed doors, electrically heated towel rail, shaver point, radiator and spotlighting. Garage 16ft x 11ft 8ins with sliding timber up and over door, light and power connected and deep storage/tool cupboard. The garage is integral into the main dwelling and on the street parking is available immediately in front of the property. Gardens To the right hand side of the property a paved alley provides access to the rear gardens which offer a high degree of seclusion and privacy and are of a low maintenance nature comprising two paved terraces and raised beds with a central area of lawn bounded by flowering and shrub borders and a mixture of natural hedging and fencing. Services We understand all mains services are connected. Viewing Strictly by prior appointment via the vendors agents. Equivalent to 1 ½ months rent. Other Disbursements A fee of £250 (including VAT) is payable to Frost & Partners. This fee includes the cost of preparing the Assured Shorthold Agreement and the administration costs associated with the references we will obtain on the first applicant. There will be an additional fee of £100 (including VAT) for each additional applicant or guarantor. The fees are payable upon application to take the tenancy. When you leave the property, a final inspection will be undertaken, for which we will charge a fee of £100. 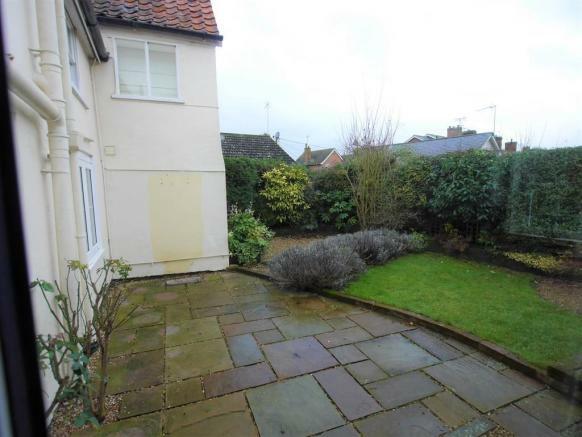 This property is marketed by Frost and Partners, Hadleigh at £1,450 per month. Rightmove has calculated the price per week for comparison purposes only. Property reference 100294002715. The information displayed about this property comprises a property advertisement. Rightmove.co.uk makes no warranty as to the accuracy or completeness of the advertisement or any linked or associated information, and Rightmove has no control over the content. This property advertisement does not constitute property particulars. The information is provided and maintained by Frost and Partners, Hadleigh.